Startups are gaining momentum every year, and 2018 was a particularly great year for them. Although it has barely begun, 2019 promises to be even better. Successful new startups benefit marketers and entrepreneurs around the globe with their new ideas and innovations, bringing new ways of thinking and creating to the table. Additionally, keeping up with new startups can inspire your business to capitalize on their ideas and creations. The 2017 top startups will inspire you and help your business grow larger than you could have imagined. In the past, businesses have relied on single corporate social media pages to spread the word about their brands and services. Soci has taken that concept and expanded it into an entire internet-based platform. Soci allows business owners to formulate and deploy social media strategies, such as streaming videos or posting new content, via an entire network of software. The software also lets business owners customize their brand messaging across thousands of websites and social media pages, rather than sticking to their own sites and the sites of their closest affiliates. The more comments, likes, and shares a brand can get across the vast social media landscape, the more quickly a business will grow. Additionally, Soci is capitalizing on how much users love to interact with brands personalized for them. On a generic social media page, you may not have the freedom to explain how your service or product meets the needs of several different demographics. With Soci, however, you can create content that speaks directly to the people you want to reach most. If your product is known for attracting millennials but you want to engage more senior citizens, you can use Soci to explain how easy and convenient your product is for that population. Therefore, you don’t run the risk of pigeonholing your business or missing marketing opportunities that might be slightly outside your target audience. In our current age of rampant hackers, viruses, and other breaches, security is a huge concern for business owners. In response, the startup AttackIQ has developed new software called FireDrill. FireDrill is designed to show how well a business’ security products and processes actually work. It is crucial to know your security is tight at all times, because it can take as little as 96 minutes for hackers to discover and exploit weaknesses in your system. Hacking will also affect your customers; their personal banking information may be compromised, or money may be stolen from their accounts. In some cases, customers’ identities could be stolen. AttackIQ’s FireDrill software mimics real-life hacking and other security compromise scenarios. Its goal is to “continuously challenge security assumptions” and protect your business’ entire infrastructure, not just your most important networks or a few of your departments. Testing is automated, so you don’t have to worry about scheduling or missing a “fire drill.” Testing is also rigorous, so unlike with similar programs, no part of your security system escapes scrutiny. AttackIQ is protecting businesses across the country because its FireDrill software and other security measures change as your system changes. Other security networks can only assure you that your system is working at specific points. Almost as soon as a security test is done, it becomes obsolete. In contrast, AttackIQ automatically tests and retests your system as needed. The software can repeat the same tests or add new ones according to how your system develops. Starting a business is an exciting venture. You have a wonderful idea you want to share with the world, and you know that given time, your business will take off. However, you, like most business owners, may run into a snag when it comes to financials. Starting a business usually requires filling out loan and mortgage applications, collecting and going over documents, and possibly putting up collateral. The process can take weeks or months. Often, prospective business owners stay on pins and needles because their lenders and bankers are as bogged down in the process as they are. To take the headache out of starting your own business and finishing the approval process, former Redfin developers Andy Taylor and Navtej Sadhal created Approved. This start-up expertly streamlines mortgage lenders’ work so they can focus on approving your business mortgage or loan. With Approved, application review, document collection, and similar processes no longer take a few weeks or months; they take a few minutes. Approved also helps mortgage lenders digitize and organize the reams of paperwork they might otherwise struggle to deal with, such as bank and 401(k) statements. CureMetrix began in 2014 and is gaining more attention each day. CureMetrix applies artificial intelligence algorithms to medical imaging and diagnostics, helping health professionals provide better treatment for their patients. In an example given to an Xconomy Special Report, the software was used to track the growth and progression of a malignant breast tumor for more than two years. CureMetrix takes the information radiologists and other health professionals can see and gives it new dimensions. Thus, the guesswork in complicated diagnoses is eliminated, and patient survival rates increase. So far, CureMetrix has been associated with mammograms, but it’s useful for other imaging as well. The software can track an abnormality in a patient’s body from early to late stages, although the goal is to catch and treat anomalies as early as possible. The company explains CureMetrics allows health professionals to identify what is relevant on an imaging test while discarding what isn’t. This allows doctors, nurses, and other professionals to focus more efficiently. In addition, CureMetrix allows for improved analysis that can give each patient a “breast health score,” or health scores based on other types of imaging. Another startup revolutionizing medical care in 2017 is Clarify Medical. Like CureMetrix, which is currently specific to mammograms and imaging, Clarify targets specific health problems. In this case, those problems are psoriasis and eczema. Clarify Medical allows patients to take control of skin treatment in their own homes, rather than taking precious time to attend frequent clinic appointments. Patients use handheld LED lights to give themselves ultraviolet-B light therapy. The light devices are linked to Web-based services that let patients keep in close touch with their doctors from their homes. Technology has exploded across the world in recent decades, but a huge gap remains between what is possible and what is available. In 2019, expect to see more startups tackling this gap head-on. Ossic is a great example. Ossic’s 4 founders have been working since 2014 to develop headphones that go beyond blocking out a noise and letting you enjoy your music or audiobook in peace. Ossic’s headphones are immersive and provide three-dimensional sound. Unlike other headphones whose uses are limited to laptops, tablets, or iPods, Ossic’s prototype can be used with many types of applications including virtual reality and gaming apps, augmented reality apps, and music programs. Ossic has already won CES’ 2017 “best of innovation” award for their product. As Ossic’s headphones become successful, they are sure to find a huge market, not only for gamers and technology-lovers but others as well. For instance, the headphones may provide much-needed relief to people who struggle with sensory processing disorders, especially of an auditory nature. Getting in shape is important to everyone, but finding the time to attend an exercise class is often a challenge. Lymber, one of the newest startups on our list, lets users quickly book openings in exercise classes or at spas and yoga studios. This way, a user can schedule his or her workouts ahead of time, eliminating concerns about crowds or having to settle for a class that doesn’t fit his or her needs. There are no fees for using Lymber, so users can exercise wherever they want and rest assured they can afford to be there. If users want memberships at a particular studio, gym, or exercise center, they can get one, but memberships at certain places are not required. Unlike similar applications, Lymber is also not limited to the exercise opportunities where a user lives. Whether you get most of your workouts done in your hometown or are a frequent traveler, you are guaranteed to find great exercise opportunities. After reading this story, you may want to take a page from these startups’ books and create your own. If you’re feeling uncertain, remind yourself that now might be a great time to jump in. Anyone can have a startup, including single moms with high school diplomas, people with tons of business experience, people with diseases and disabilities, or people who simply have a great idea to share. If you want to begin your own startup, we recommend doing some research based on the companies we’ve discussed here, as well as several others, particularly those in your field. Start with what you are passionate about. Ask yourself what you can provide that potential customers need, but aren’t getting. Develop your ideas with short-term, measurable and achievable goals in mind, and start building a network. 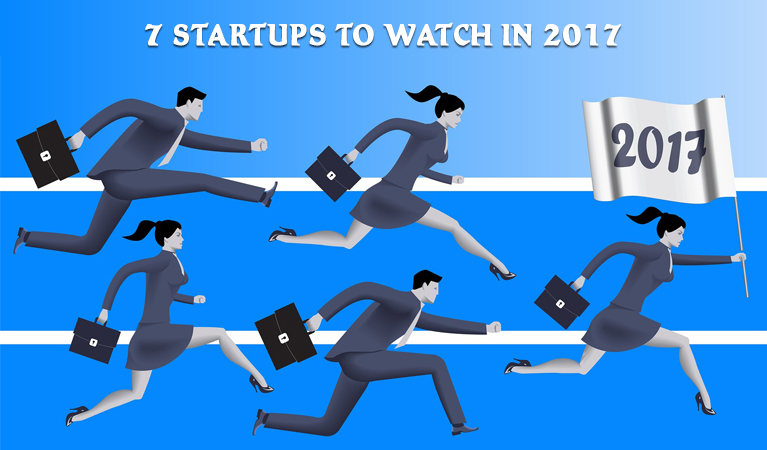 Perhaps you’ll be a startup to watch in 2018.